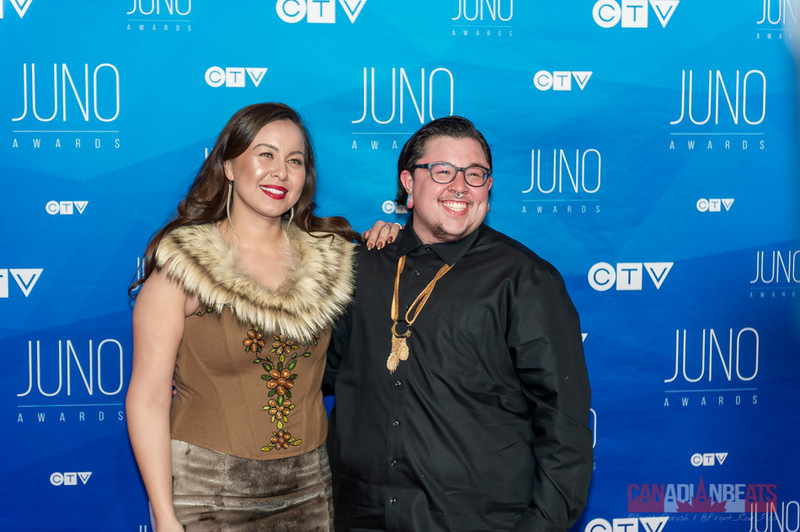 With well over 100 Red Carpet photos, we decided to pick out the top 10 memorable red carpet moments from the big broadcast on April 2, 2017 at the Canadian Tire Centre in Ottawa to share with you. Want to see more? 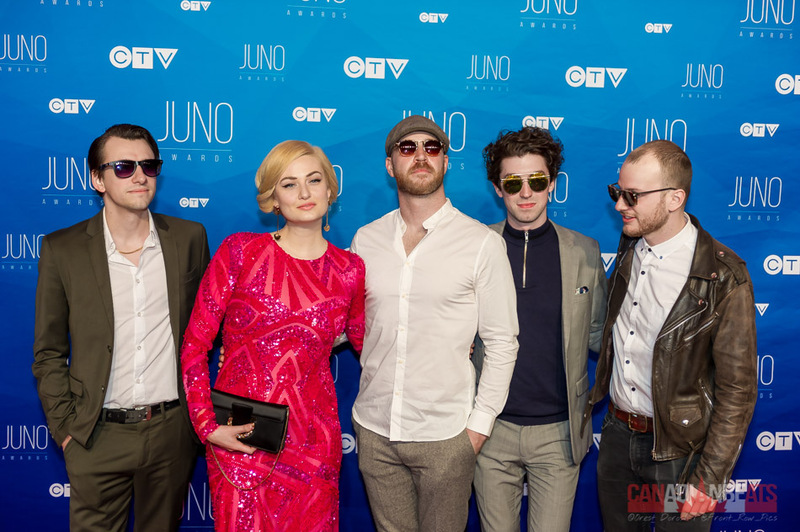 Have no fear, all of the photos from all of the Juno festivities that we caught can be found on our Facebook page! 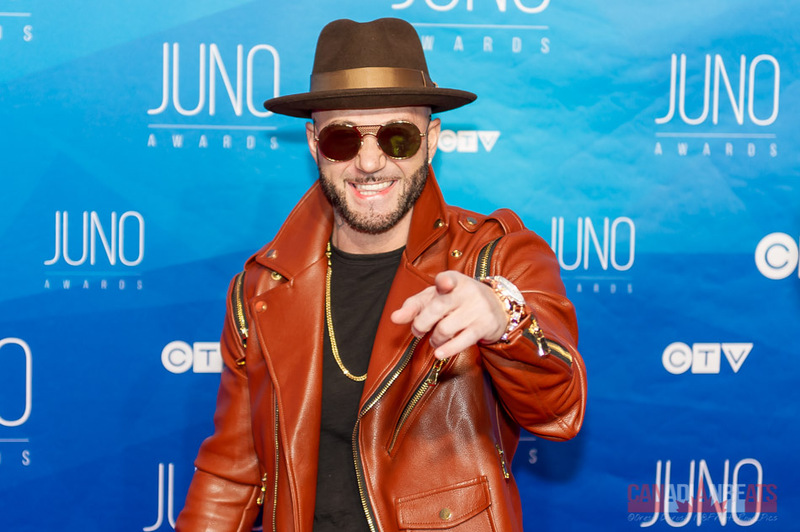 Karl Wolf – I mean anytime an artist as cool as Karl Wolf points directly at you, it’s a good day! 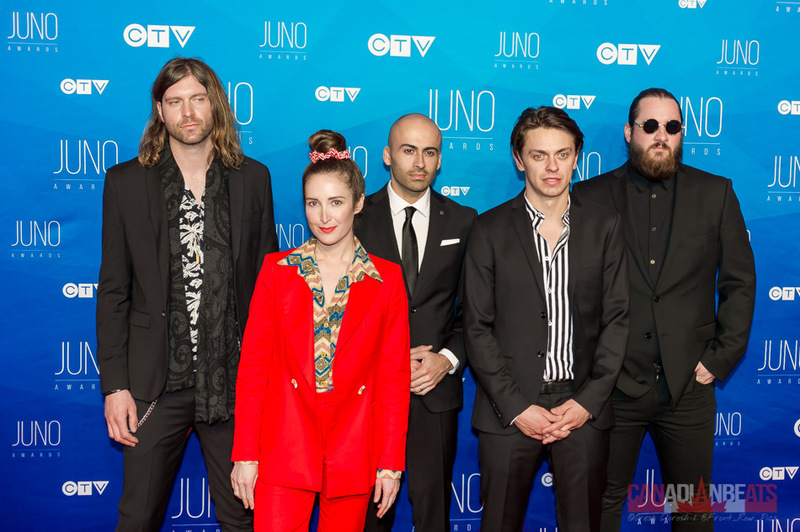 July Talk – Leah Fay looks absolutely killer in her red suit, of course we had to include them! 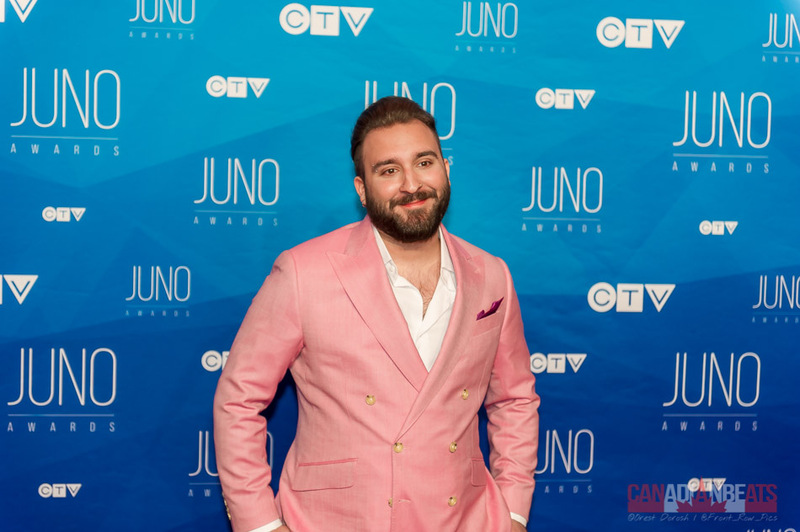 Coleman Hell – Coleman is no stranger to Canadian Beats, and looking polished in this pink suit, this was one of the most memorable moments on the carpet. 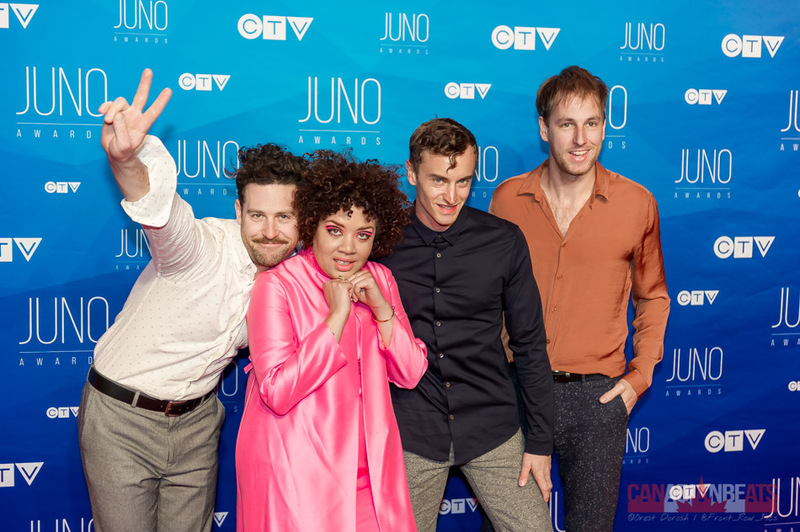 Weaves – Jasmyn Burke looks gorgeous with her pink outfit and matching eye shadow! Peace Out! 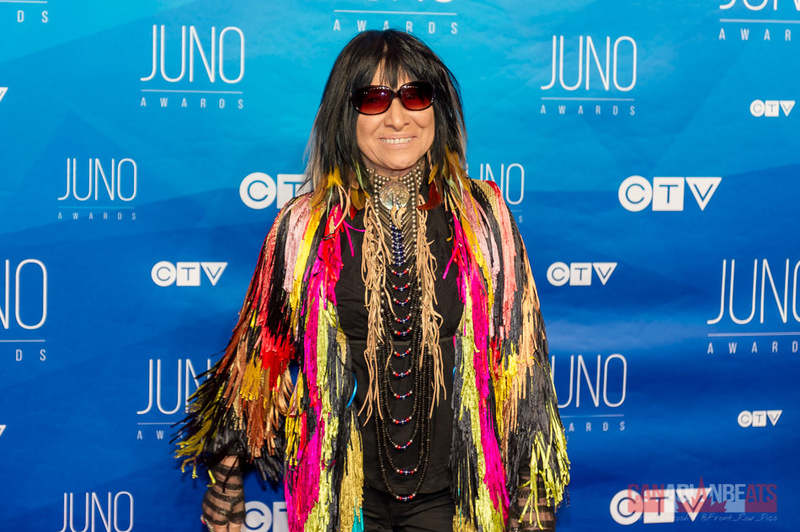 Buffy Sainte-Marie – This Canadian legend knows how to make a killer red carpet statement, and looks absolutely stunning doing so! 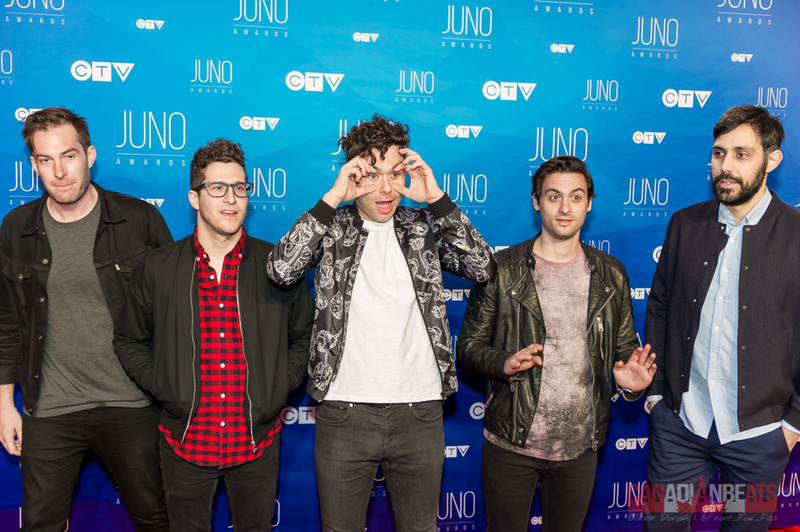 Arkells – The photo itself is a bit wacky, and fun…which let’s be honest sums up Arkells! 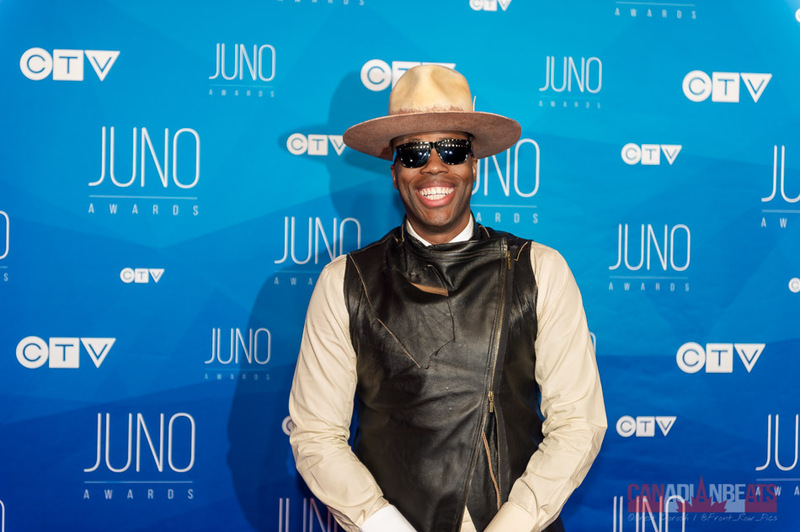 Kardinal Offishall – Possibly the best and uniquely dressed man in the Canadian music industry! Youngblood – This dress is beyond amazing, a definite eye catcher! Youngblood pulls it off beautifully. Quantum Tangle – The excitement and energy pouring off of these two is enough to make you start smiling yourself! 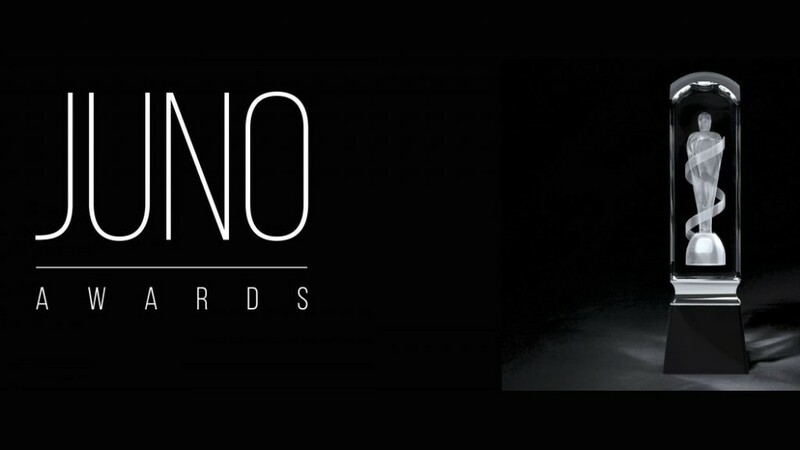 KAYTRANADA – His expression says it all! 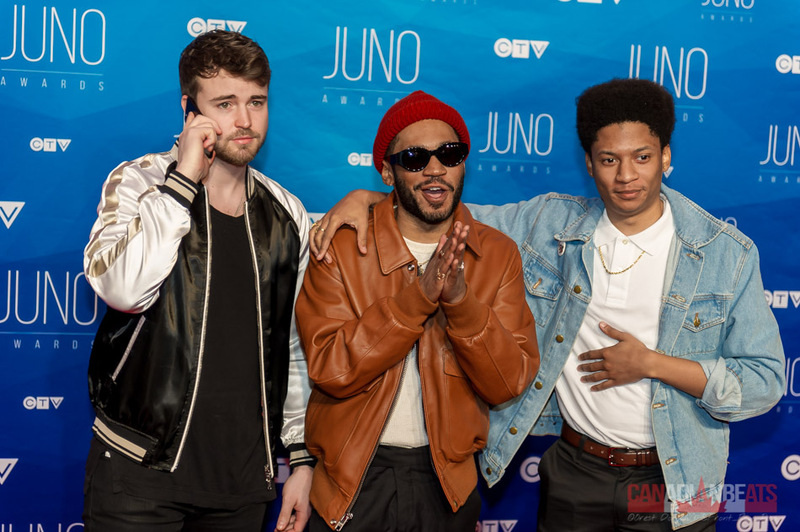 He’s ready for the party, and Junos 2017 was one hell of a party!